There are so many things that can be associated with winter months – woolen clothes, a huge variety of food, picnics in the sunlight and last but not the least ensuring heating for your home. Most people prefer to have central heating these days, but there always are some concerns about the rising utility bills because of these central heating systems. Also, the areas disconnected from the main residence like the garage may be difficult to heat with the central heating systems. To overcome such problems, a common system being used is that of supplementary heating systems. The biggest ask for such systems is their portability. Instead of having a supplementary system for each part of the house, it makes much more economical sense to have a good portable one that can be used whenever and wherever desired. These heaters help by zone heating, i.e. heating only the zone that is being used. As is obvious, these lead to a consequent reduction in utility bills as well. Now that we appreciate their contribution towards improvement in cost, convenience and cold-reduction, let us look at the various types of portable heaters available in the markets and their unique characteristics. The different type of portable heaters is based on the theoretical fact that there can be two distinct methods of heating – convection based and radiant. The traditional heaters use this method of heating. In the convection based heaters, the air is pulled by using a fan or other mechanism. This air is then passed over a heated surface, and the heated air is pushed away. This air convection leads to converting of cold air to heated air making the nearby air warmer. The problem with this type of heating is that the doors and windows need to be kept closed to avoid the hot air from escaping. The different types of such heaters are ceramic heaters. As the name suggests, these heaters have a small ceramic plate for heating. Ceramic is one of the most efficient heating source known, and a small plate is sufficient to give satisfactory heating for a room. This fact makes it an extremely useful component of a portable heater. Once heated, this plate remains heated for a considerable amount of time, making it the desired option in zone heating. The biggest advantage of using portable ceramic heaters is the area they can heat up and keep heated. 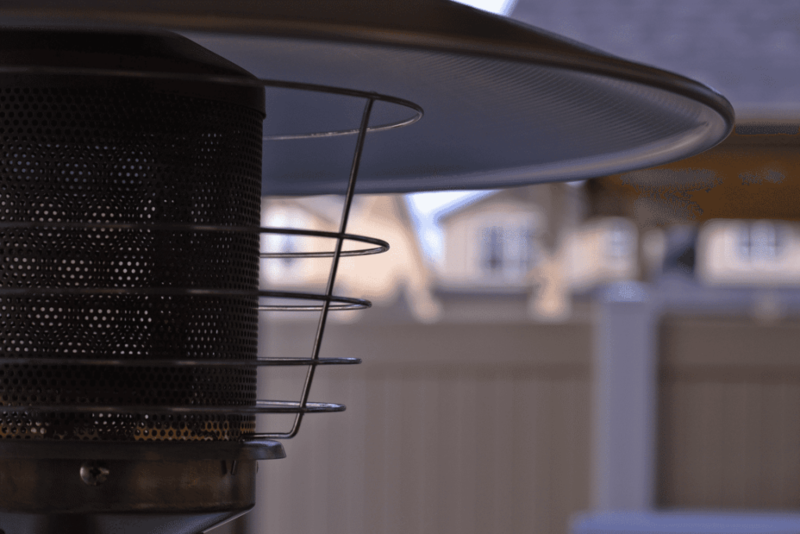 As these use air convection, the entire area where the heated air travels and is trapped can be heated up with a small portable ceramic heater. The first and biggest limitation of the portable ceramic heaters is the fact that they need the area to be enclosed for efficient heating. As the heating is done by heating the circulating air, the air becomes dry that may lead to skin irritation and other illnesses. The radiant heaters are the latest technological advancement in the field of zone heating. This effect is achieved by infrared rays that travel in a straight line and directly heat the object in their path. Since there is no indirect heating using air circulation, the doors and windows can be kept opened when using these heaters. The infrared heater consists of a material like quartz that emits infrared rays on being heated. The temperature of these units can be controlled using an inbuilt thermostat. When the unit is powered by using electrical or any other source, the quartz bulb emits infrared rays that heat the objects in their path. This could be a wall that absorbs the heat and then radiates more rays. Or it could be a person sitting directly in front of the heater. The first and biggest advantage is that closed air is not a requirement for this type of heaters. Thus, you do not need to be in an enclosed space. You can enjoy the weather and views outside with the heating working at its peak. The infrared heaters are the most energy efficient heaters around. These can operate at as low as 40% of the energy required by the other heaters. These heaters employ direct heating. Hence, their output is not impacted by moisture and can be used in disconnected areas prone to drafts like the garage. One important limitation of the infrared heaters is not invisible. They emit a yellowish orange glow while they are operational. Pellet Stoves Vs Wood Stoves Vs Gas Stoves: Which One To Choose?